Front panel consist of two boards. 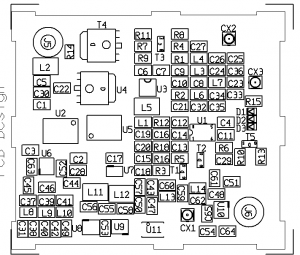 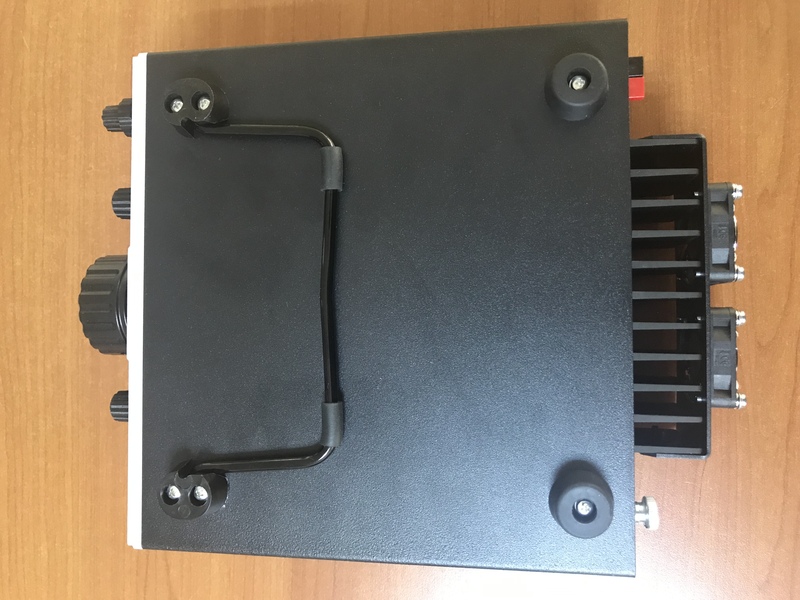 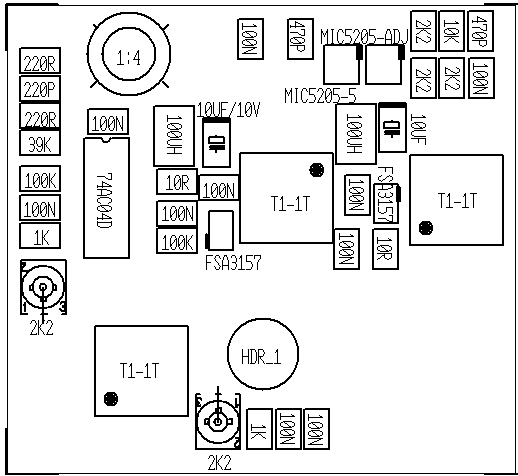 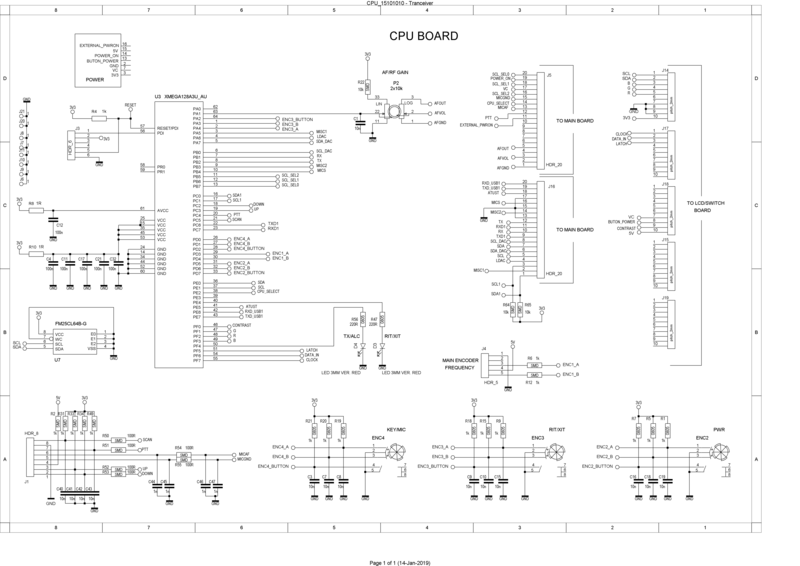 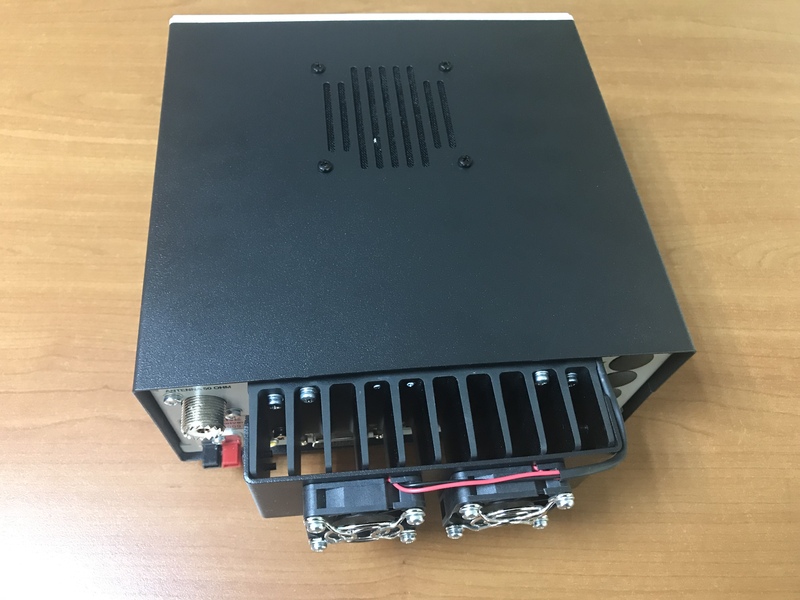 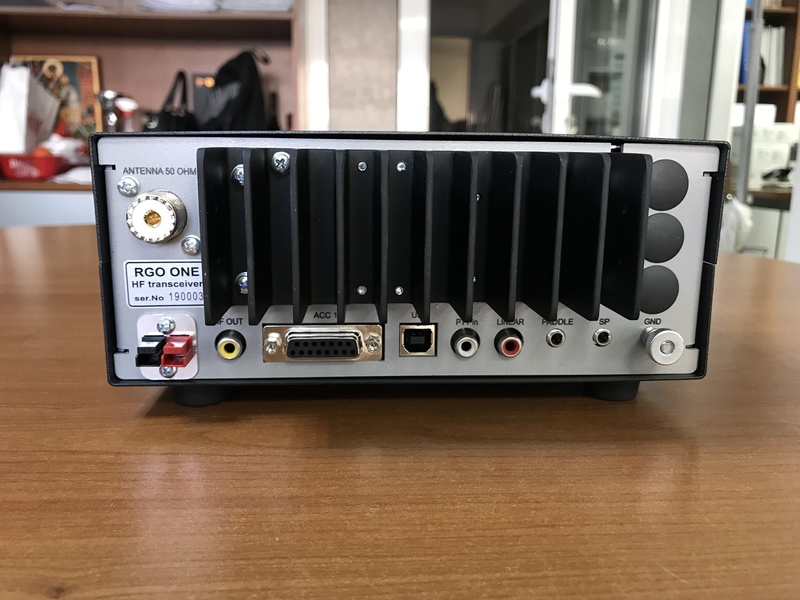 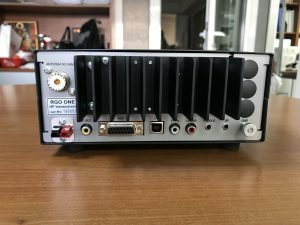 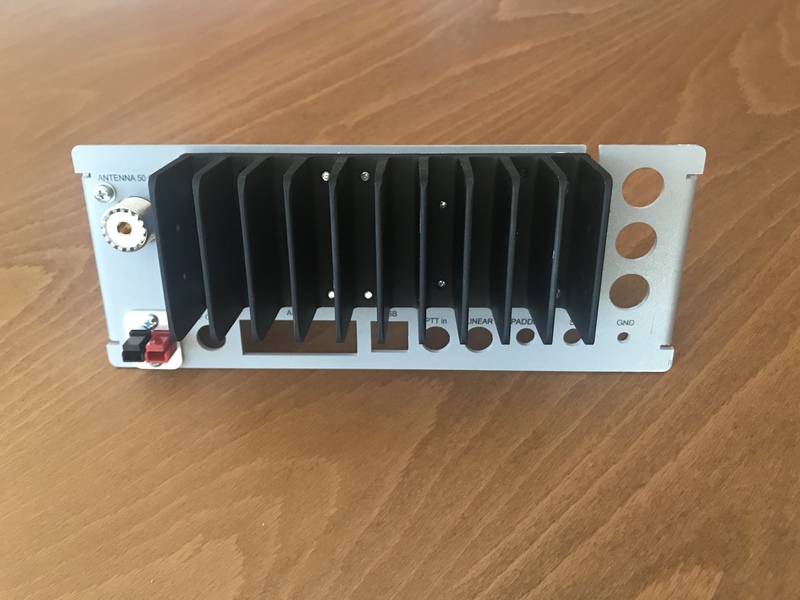 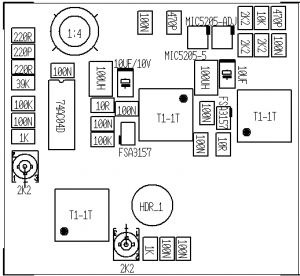 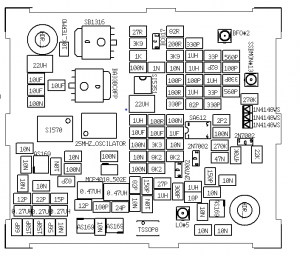 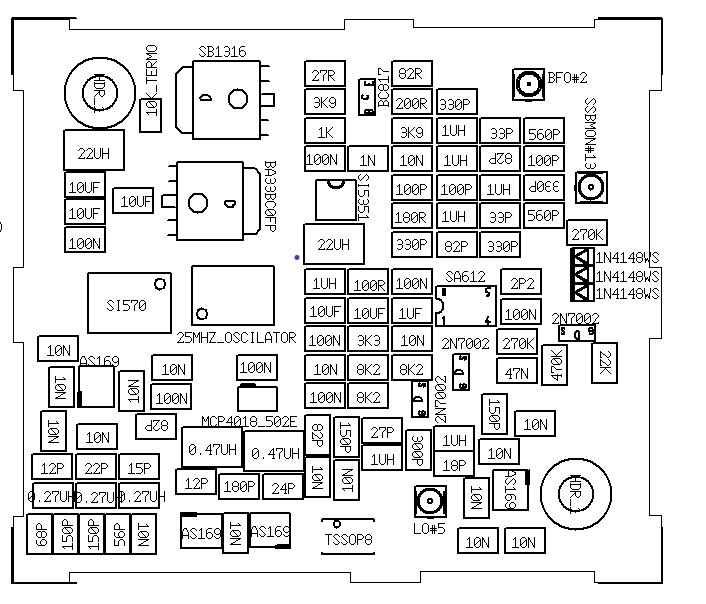 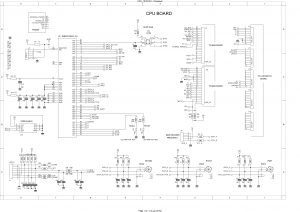 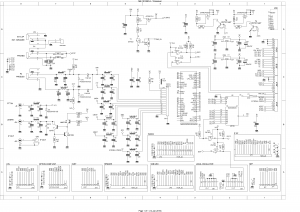 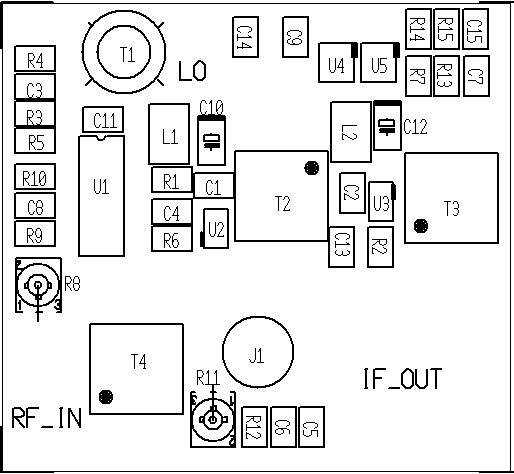 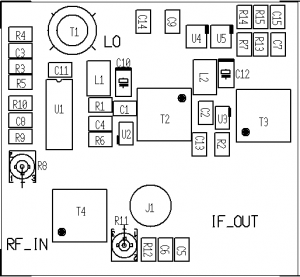 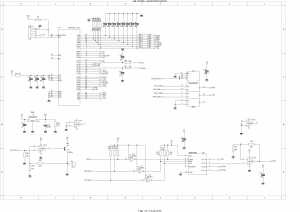 One of them is CPU board with main microcontroller AtXMEGA128A3U-AU, main dial optical encoder BOURNS, mechanical encoders, dual concentric potentiometer AF/RF. 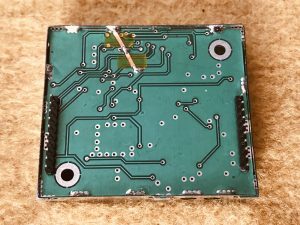 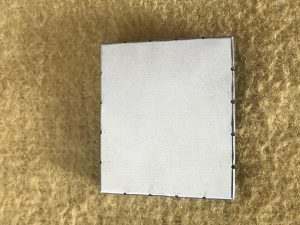 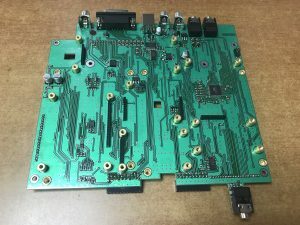 This board holds LCD&switch PCB. 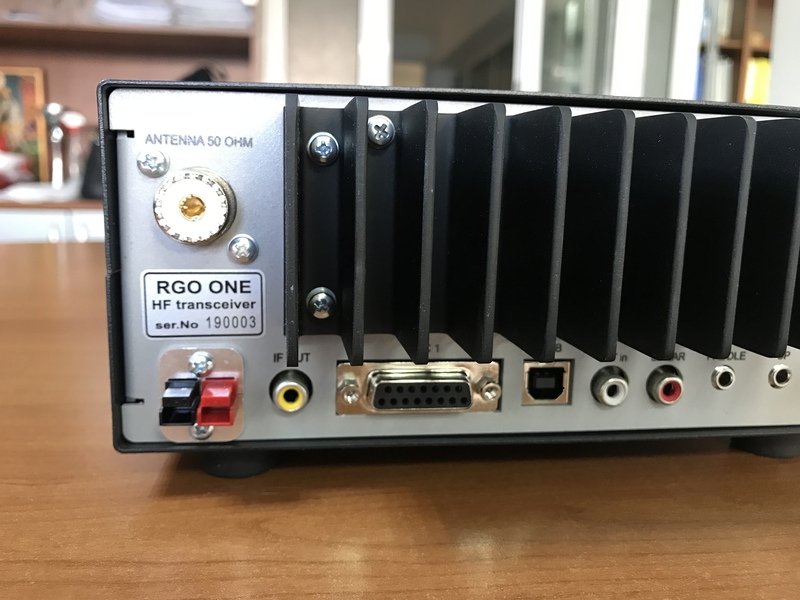 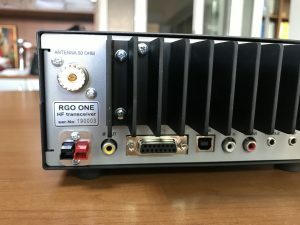 RGO ONE Main Board (MB) or so called mother board fits all connectors on the rear panel, power supply, I/O controller (second CPU). 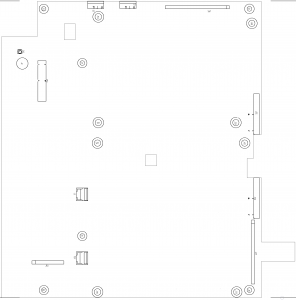 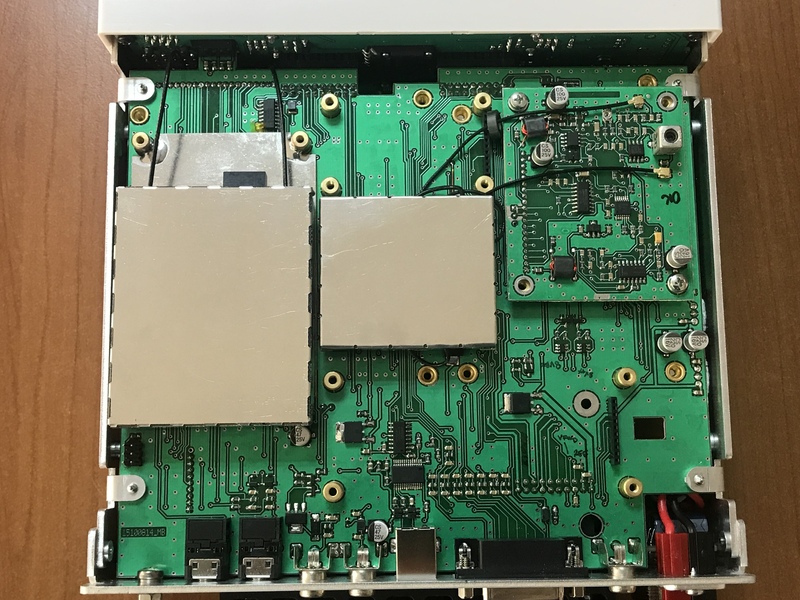 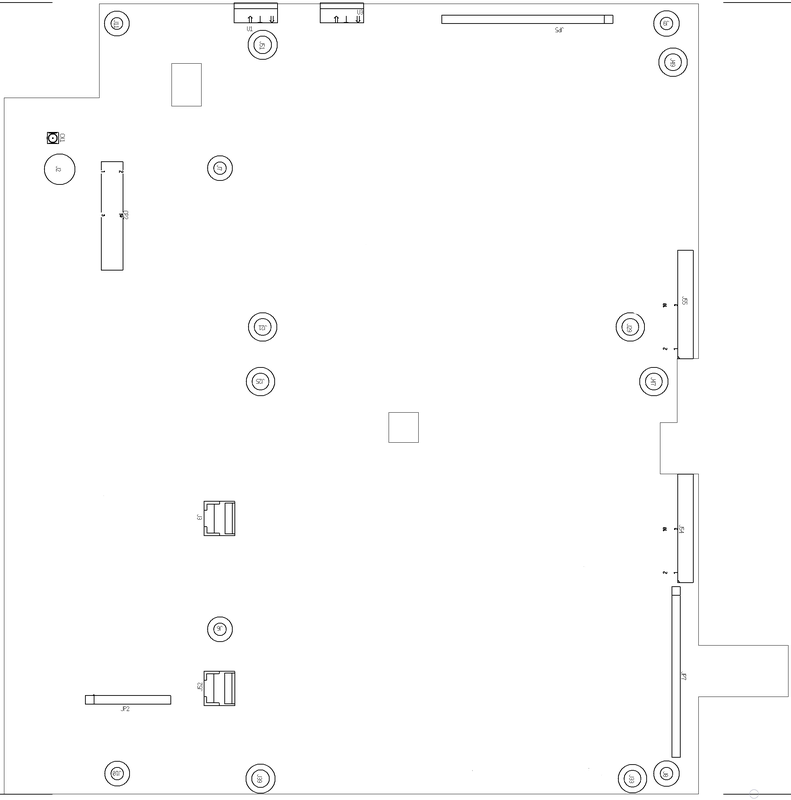 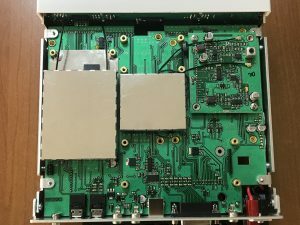 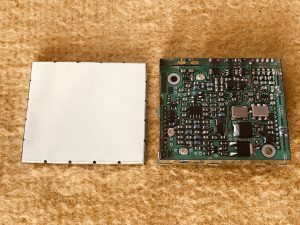 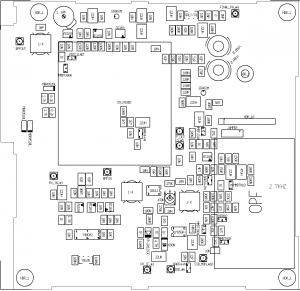 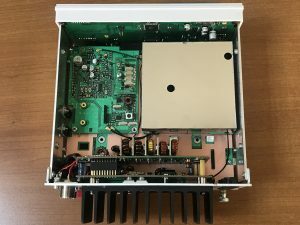 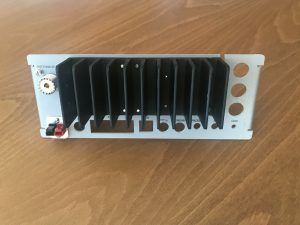 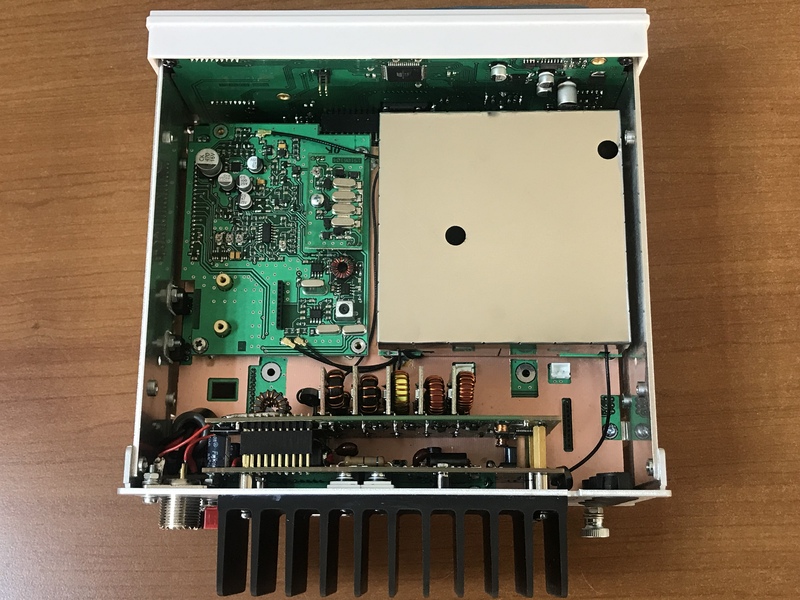 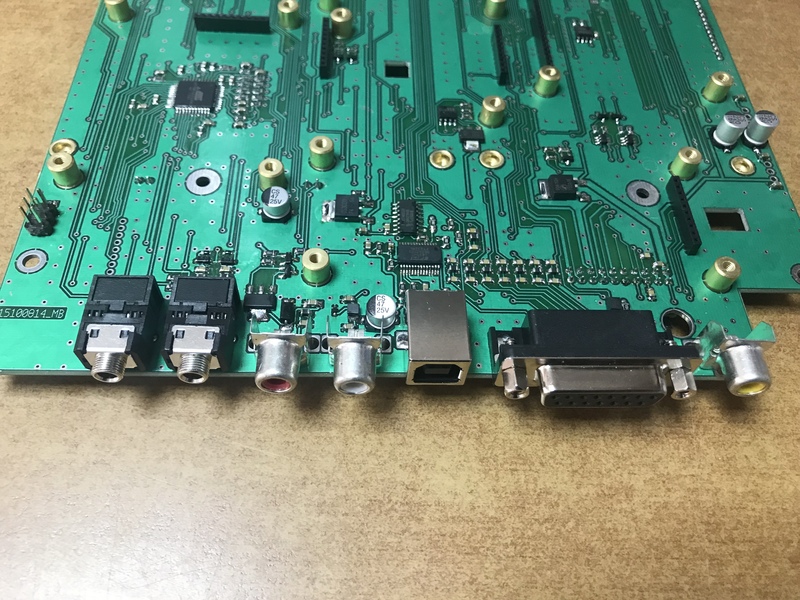 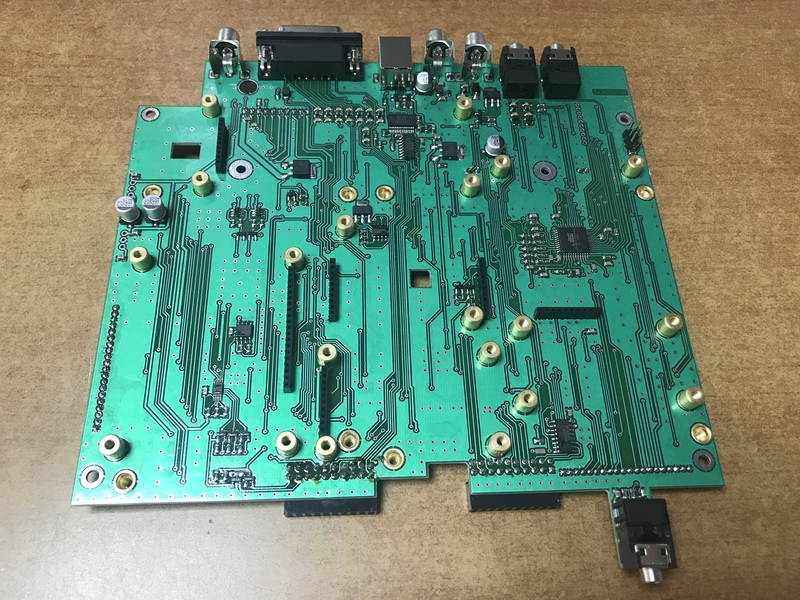 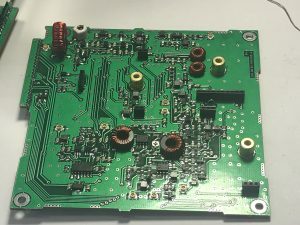 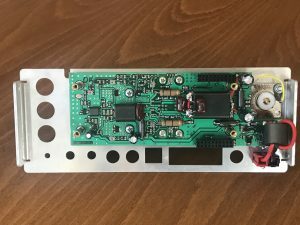 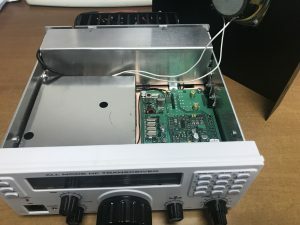 MB is also intended to be a chassis for all RF boards and options, as long as “cable harness” and board interconnections. RX MIXER standard is ADE-1 diode ring mixer. Here described is optional high dynamic range H-mode mixer. 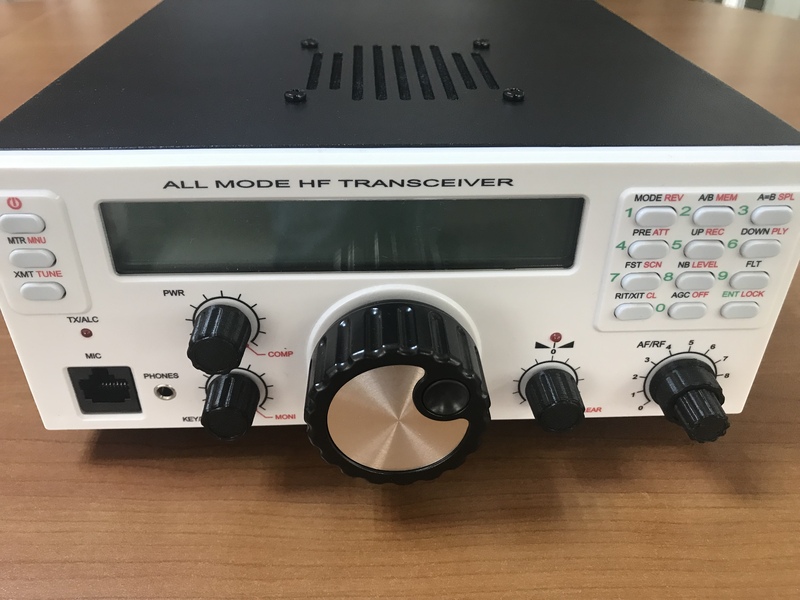 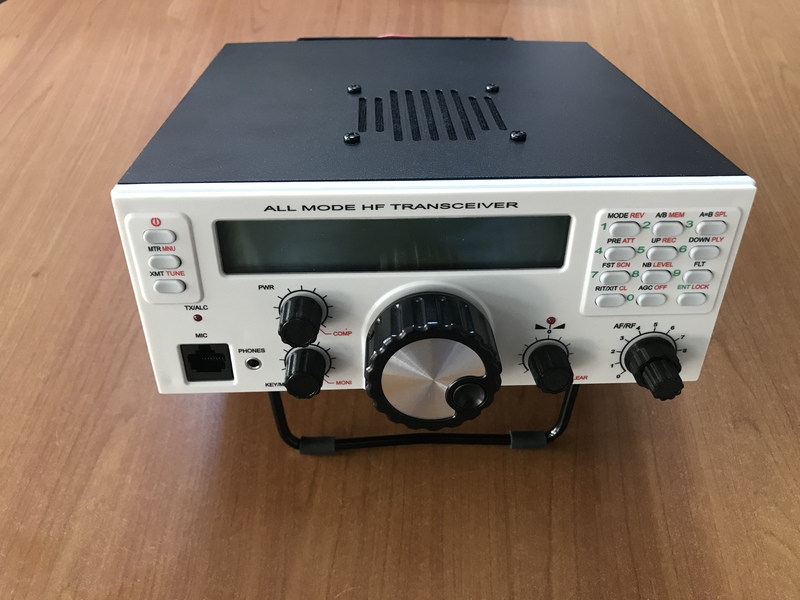 The schematic and original H-mode mixer concept has been designed by Colin Horrabin G3SBI and further developed by Martein Bakker PA3AKE. 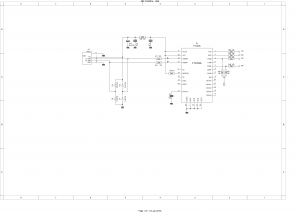 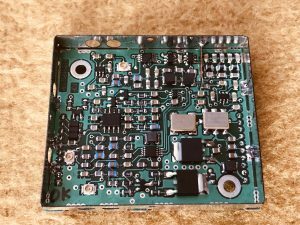 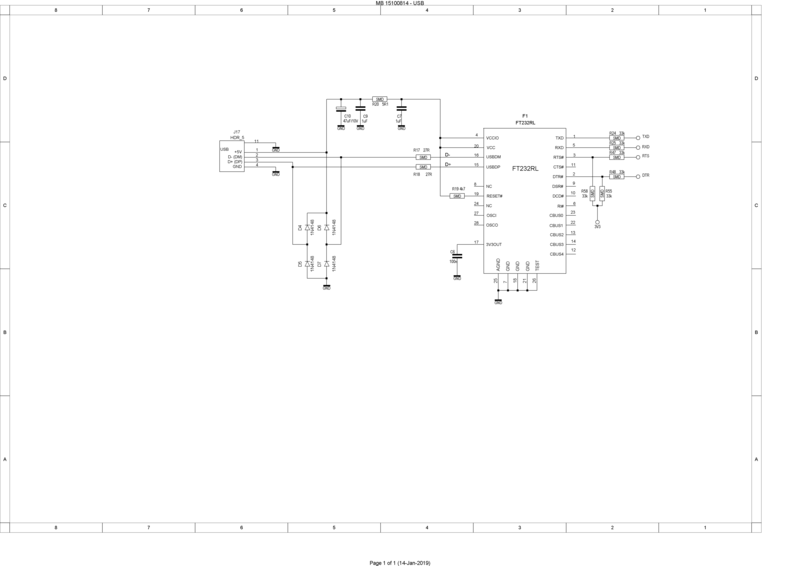 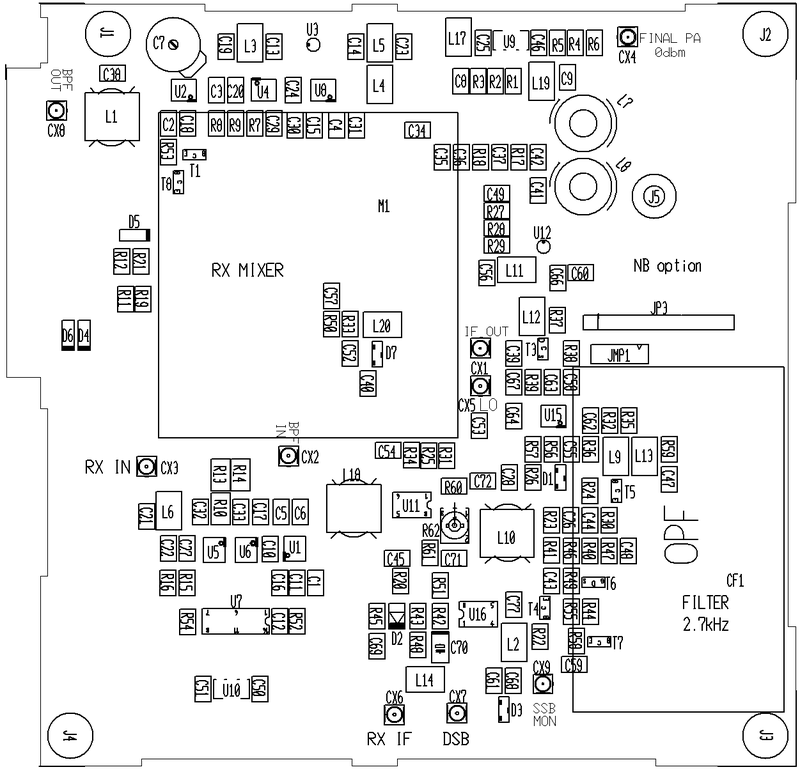 RF MIXER board does all RX/TX signals on IF and operation frequencies. On receive the signal comes on CX3 coaxial connector, then passes (or not) through input attenuator R10,R13,R14, then via switches come to BPF board. 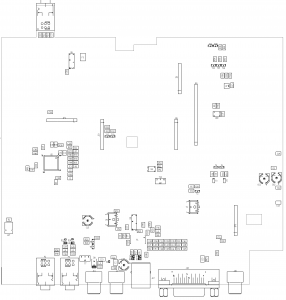 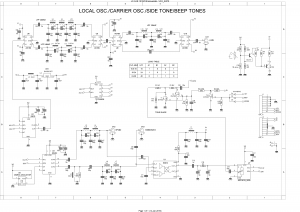 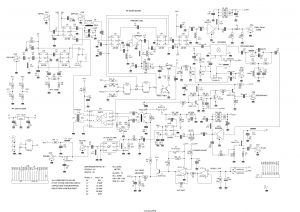 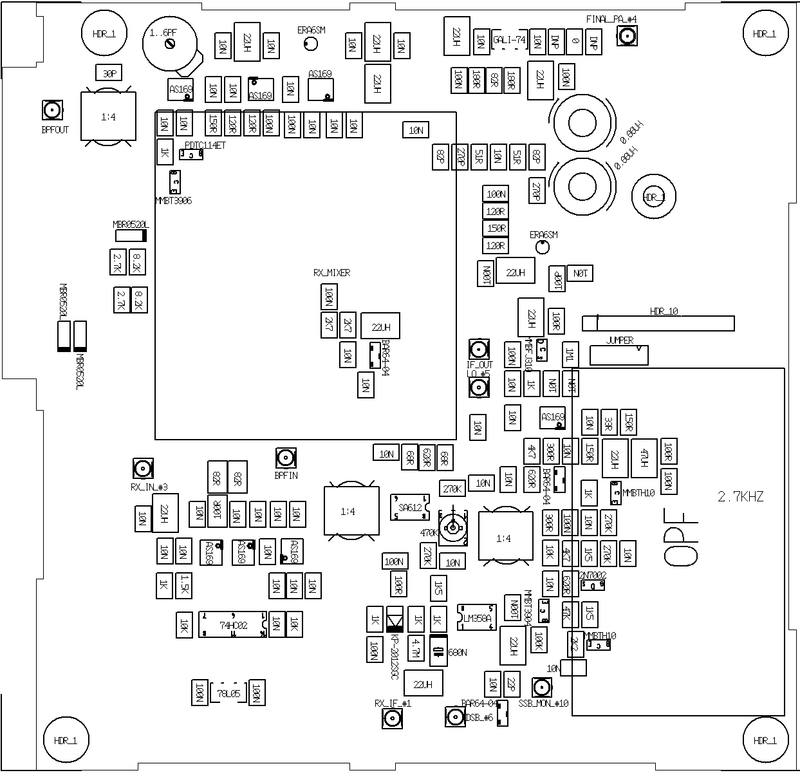 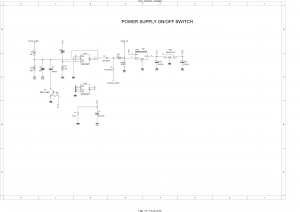 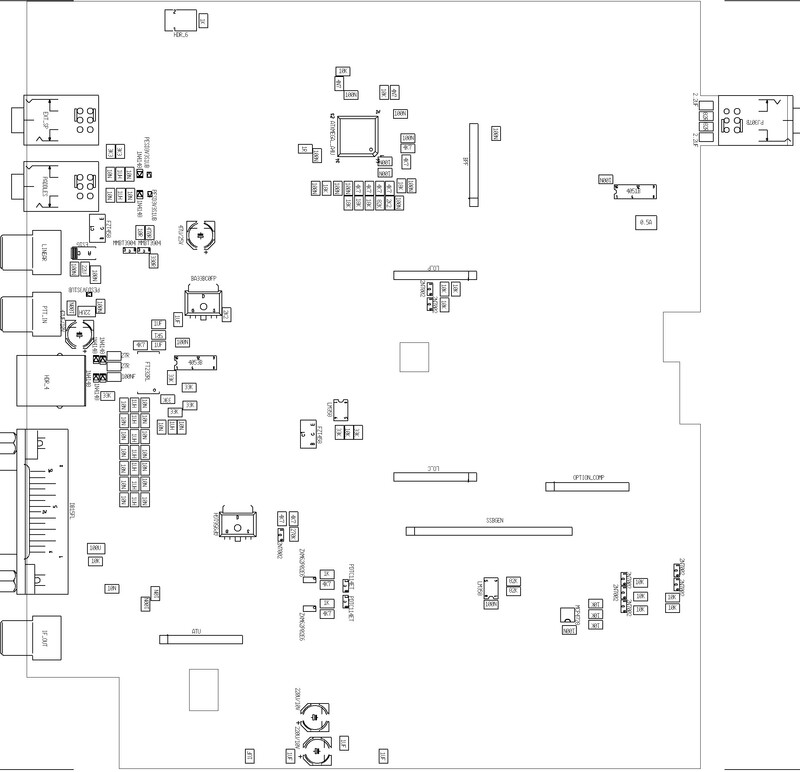 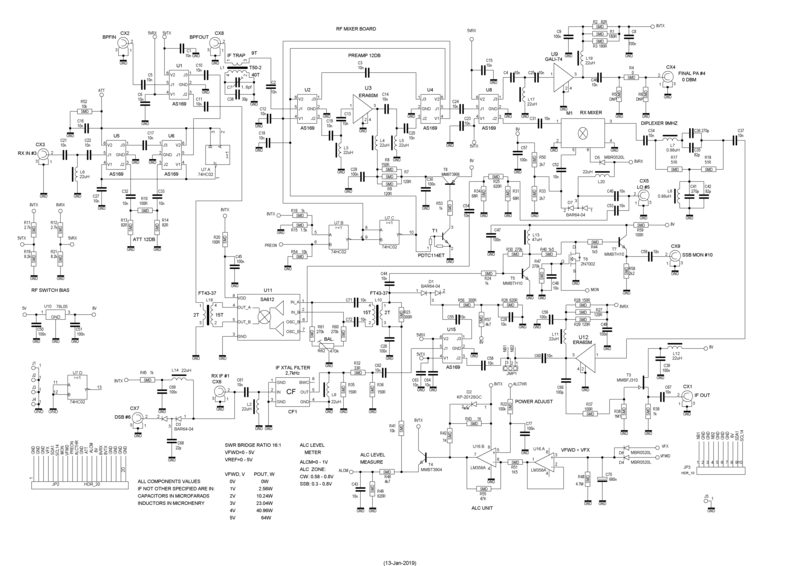 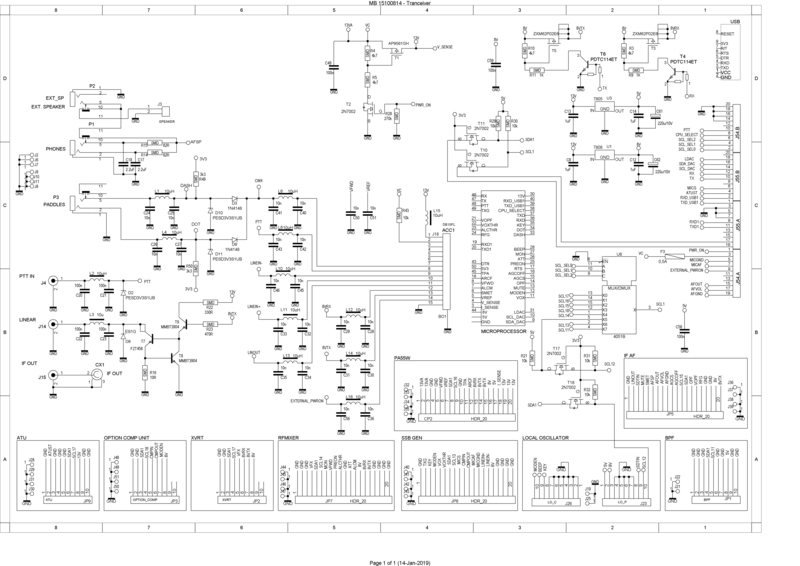 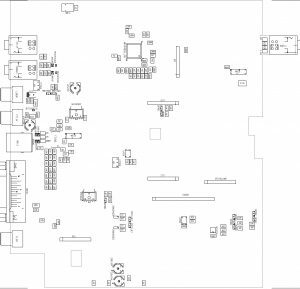 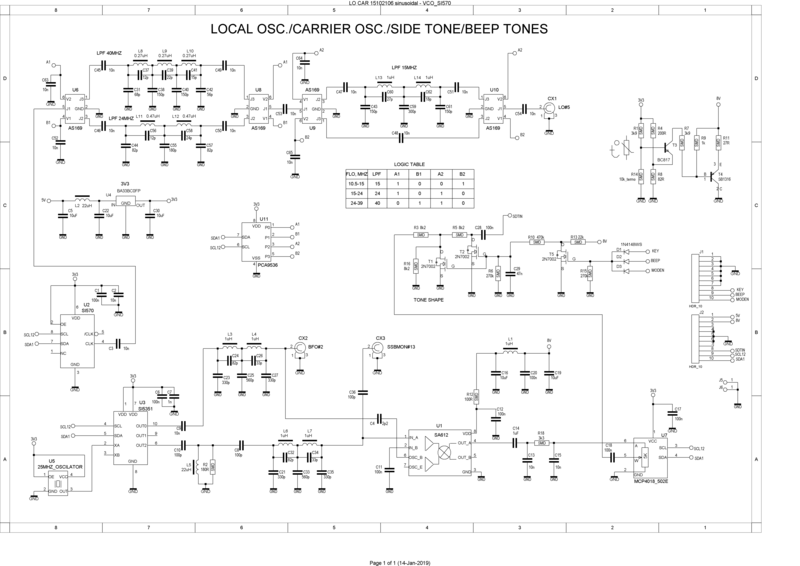 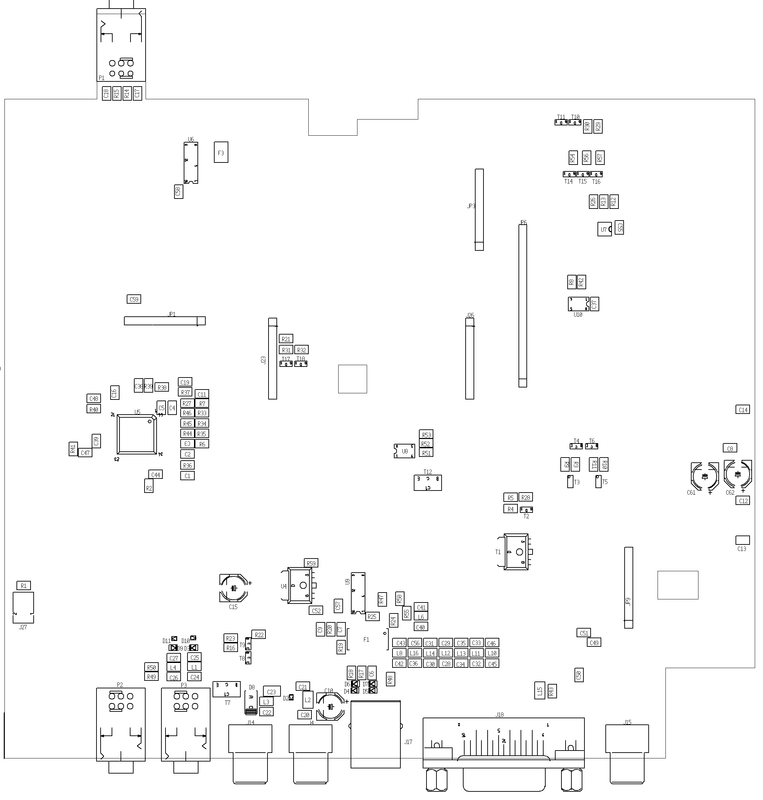 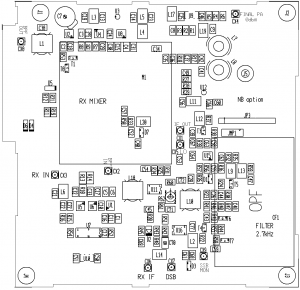 IF TRAP circuitry consists of L1, C7, C38. 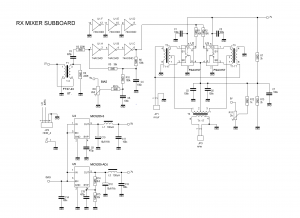 Then signal passes through U3 (ERA6SM) RX preamplifier (operator switchable). 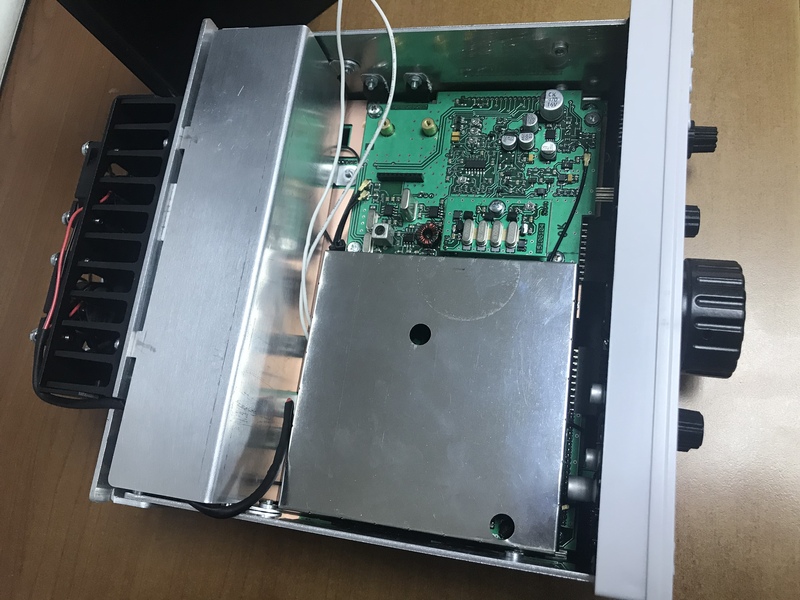 RX MIXER is on additional subboard and sits over RF MIXER board. 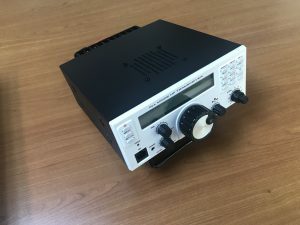 9MHz diplexer follows and then IF amplifier – U12 (ERA6SM). 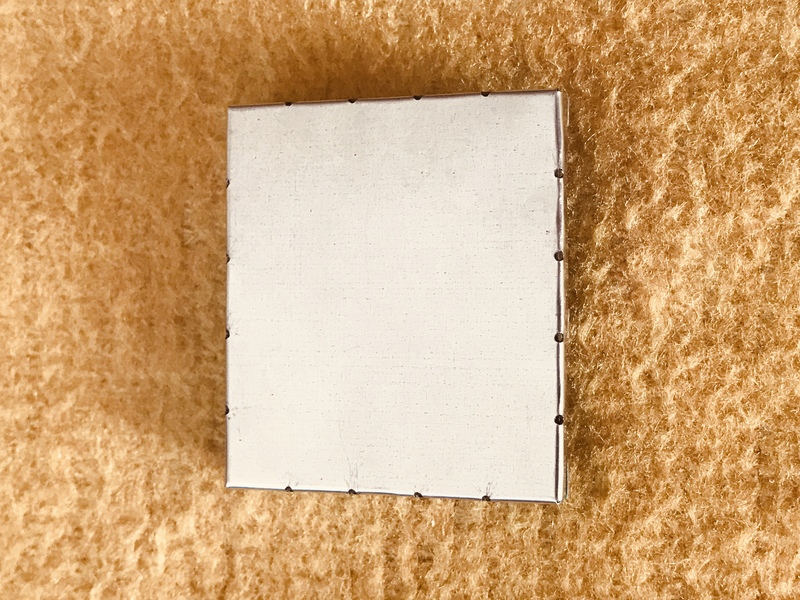 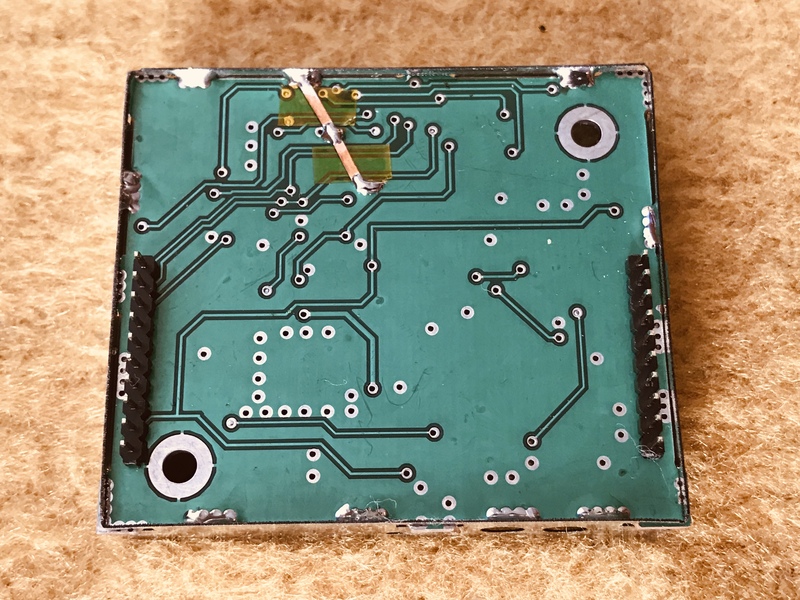 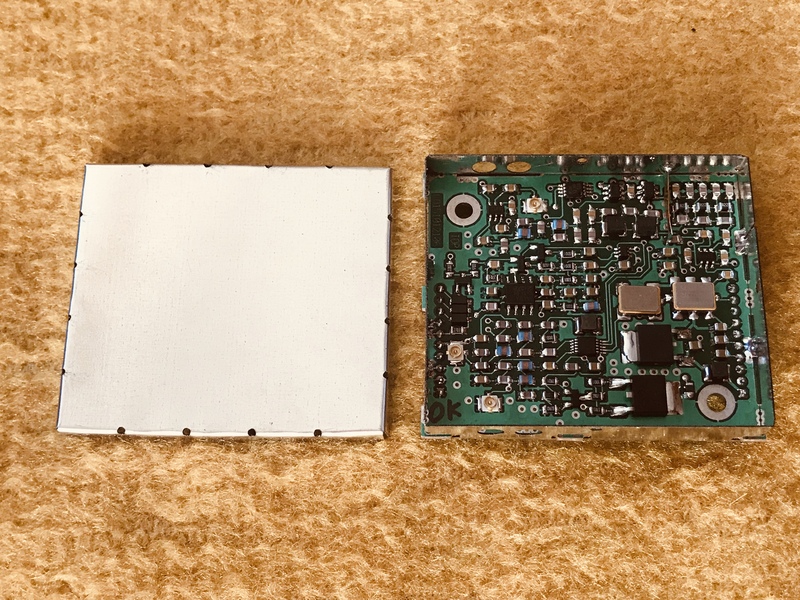 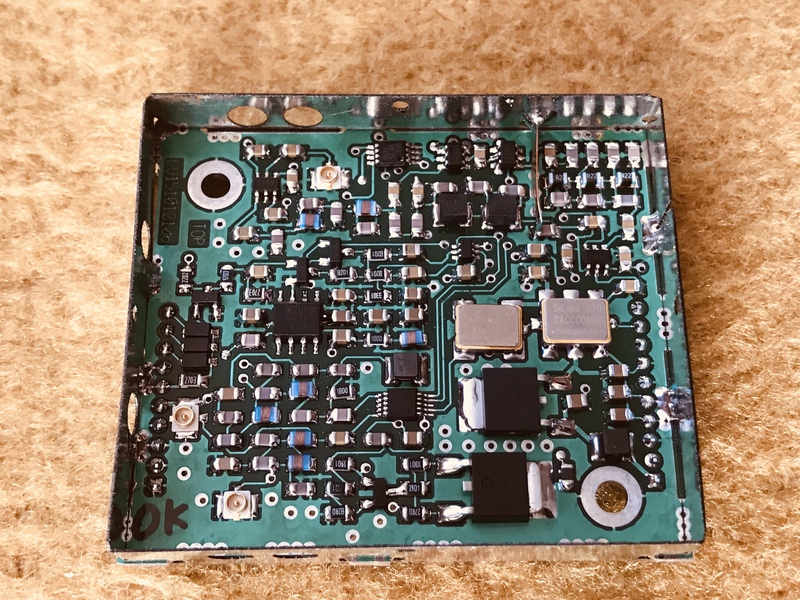 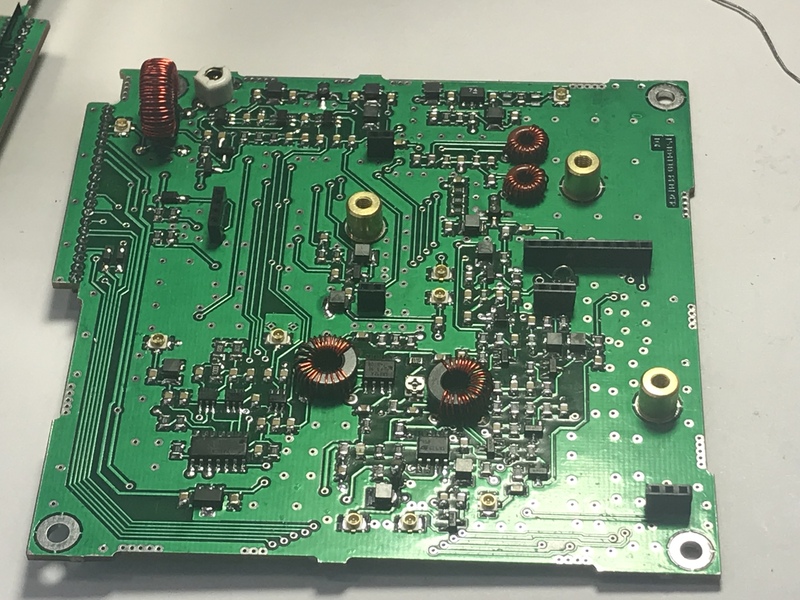 After some switching and attenuation signal comes to the first crystal filter – 2.7kHz then to CX6 coaxial connector and IF/AF board. 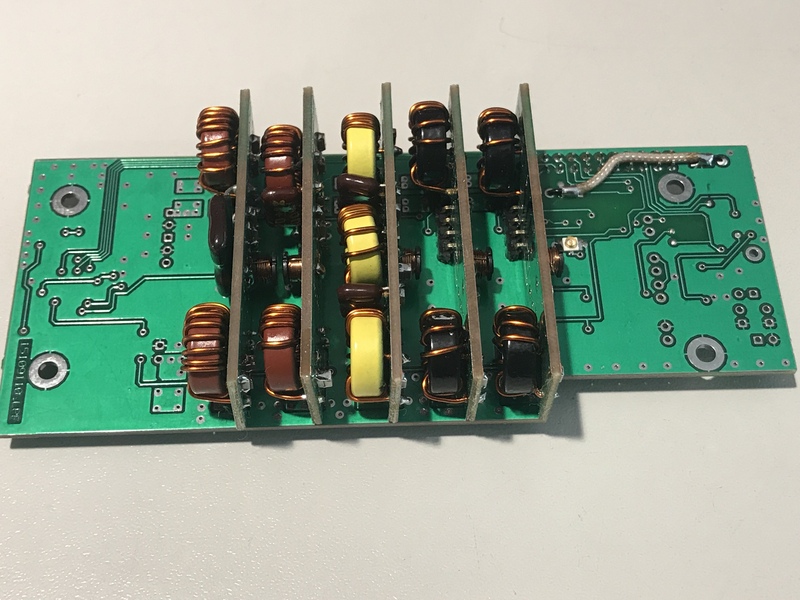 On transmit the signal from SSB GEN board through CX7 connector passes through crystal filter and after TX/RX switch to a pin diode D1 attenuator. 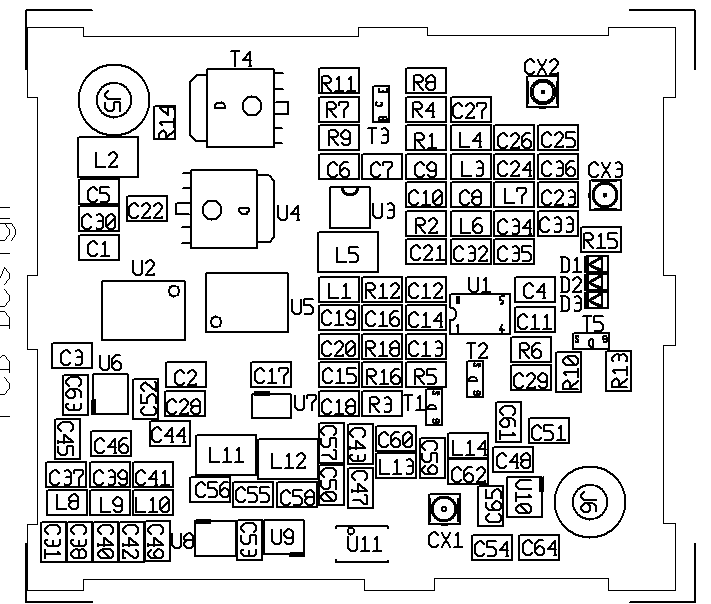 It is driven by ALC circuitry performed by U16 and T4. U11 is TX mixer which is fine balanced by R62 and impedance matched by L10,L18 wide band transformers. 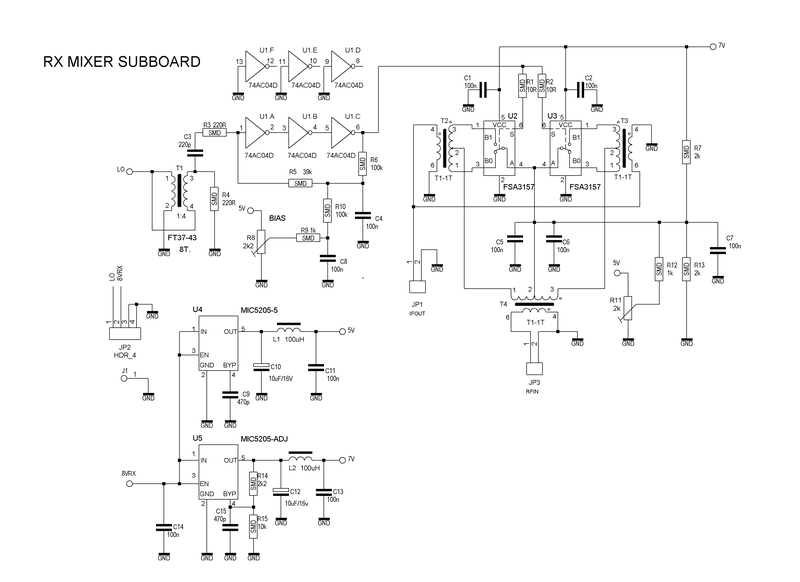 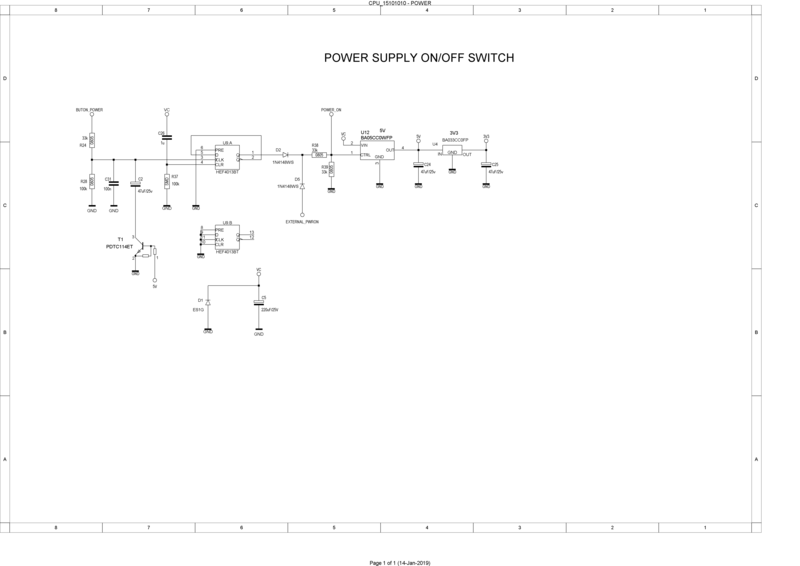 Output mixed signals are further filtered by BPF board and amplified by U3 and U9. 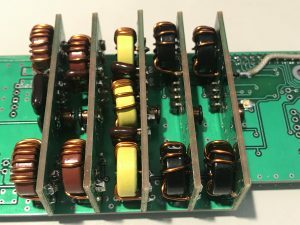 Output attenuator R4,R5,R6 is following then via CX4 signal goes to linear amplifier PA55W board. 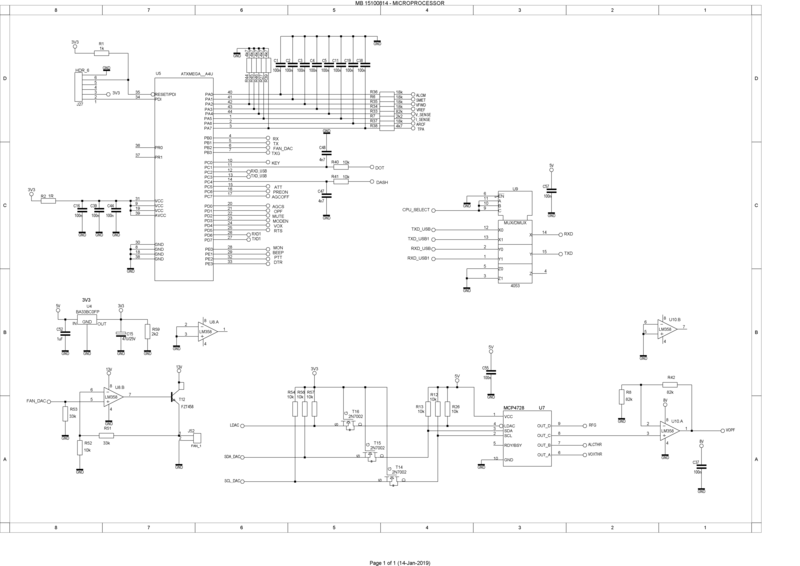 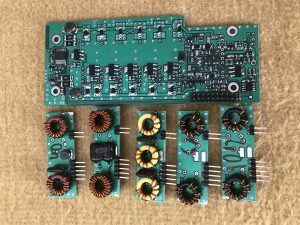 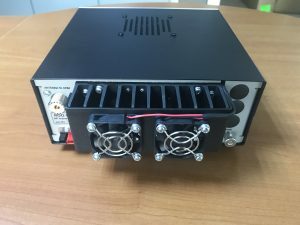 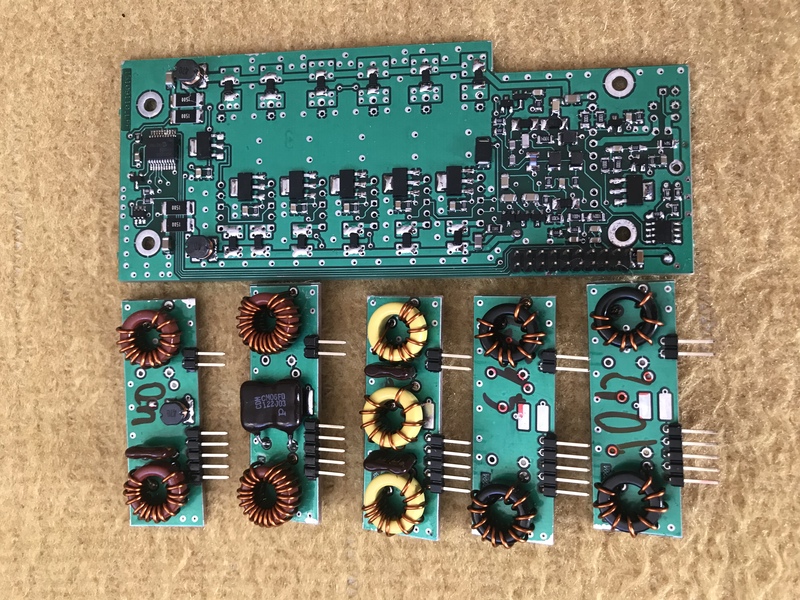 Power amplifier consist of two sandwich nested printed circuit boards – PA linear 55W board and low pass filter module.